Urinary tract infections are a very common problem, especially among women. Today, there are a number of drugs that can be used to treat urinary tract infections. Drugs sometimes have adverse side effects. Nature gives us the full range of compositions that can be used to aid in urinary tract infections. The largest number of drugs made from the extraction of medicinal plants. Before using natural remedies you necessarily need to see a doctor, and to do urine analysis. Your doctor will decide whether you need to do some additional tests. There are a number of plants that have beneficial effects on the kidneys and urinary system. The most commonly we use herbs that increase the secretion of urine, or have a diuretic effect. Many of them also have antiseptic and antibacterial activity. These are uva ursi tea, birch, horsetail, nettles, thorn rabbit, corn silk, cranberry, thyme and rose hip. 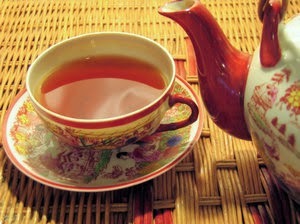 Depending on the type of kidney disease are recommended and certain herbal teas. We had famous blend of teas for the kidneys, which has long been used to cleanse the kidneys and the entire body. This blend is made from nettle, St. John's wort and chicory. This tea is good for kidney stones and renal cysts. At the same time detoxifying your entire body. This tea speeds up the kidneys and should not be used longer than twenty days. 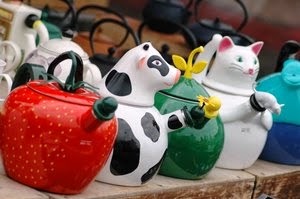 Teas that increase urination does not take long to use and occasionally need to take a break. In patients who have the sand and stones in the kidney is typically used, which is a combination of tea leaves and birch nettle, hops and rod. Sometimes the above mixture and add a little lady's mantle, which soothes pain and muscle spasm. Before using tea needed to perform a medical examination and if it is possible to determine what kind of stone it is (oxalates, carbonates), and according to the findings of used tea to dissolve kidney stones. If your urine test shows protein, leukocytes, and other pathological materials, recommended tea St John of flowers or cleavers. Be sure to use before you need to visit a doctor. Bacterial infections of the urinary tract, such as E. coli infections, streptococcus and staphylococcus besides consuming diuretic teas are recommended and teas which have antiseptic and antibacterial activity. These are uvin tea, cranberry, rabbit, thyme and chicory. Cranberry is known popularly as the red bilberry, and to treat urinary infections. Cranberry fruit because of its high content of vitamin C increases the acidity of the lining of the urinary tract, which favors the growth of bacteria. Cranberries leaves destroys bacteria such as E. coli. Pregnant women should be careful with using uva ursi cause it can produce uterine contractions if consumed in large quantities. Tannins adversely affect the kidneys, but also in some other organs, and is not recommended for people who have heart problems. Uva ursi tea you should not drink more than seven days. Bacterial infections of the urinary tract can be treated successfully by birch leaf tea to which is added a bit of baking soda, which has anti-inflammatory, antiseptic and anti-bacterial effect and creates an unfavorable base to the urinary tract, which kills bacteria. Tea made from cranberry fruit is always used after antibiotics to treat bacterial infections of the urinary tract. Cranberry stimulates the immune system, while at the same time and creates a protective layer, which prevents E. coli that inhabit the urethra. This tea should be suitable to preventative care. Never in my hand reach for the antibiotics. Make a physical examination and urinalysis. Natural remedies are very effective when it comes to urinary tract infections . Frequent use of antibiotics is dangerous, because it leads to the development of resistant strains to antibiotics cease to be effective. At long use of antibiotics there is the possibility of developing a fungal infection with Candida. The use of antibiotics should be reduced to a minimum. Use medicines that improve immunity. Do not overdo it with natural products. Long-term use of nettle can cause hives. Frequent consumption uva ursi tea can cause heart problems. Sometimes instead of coffee you make yourself a cup of tea cranberry. Do you know how dangerous are urinary tract infections? The privacy of our visitors to http://diseasekidney.blogspot.com/ is important to us. We also use third party advertisements http://diseasekidney.blogspot.com/ to support our site. Some of these advertisers may use technology such as cookies and web beacons when they advertise on our site, which will also send these advertisers (such as Google through the Google AdSense program) information including your IP address, your ISP , the browser you used to visit our site, and in some cases, whether you have Flash installed. This is generally used for geotargeting purposes (showing New York real estate ads to someone in New York, for example) or showing certain ads based on specific sites visited (such as showing cooking ads to someone who frequents cooking sites). Blog http://diseasekidney.blogspot.com/ does not accept any liability for damages and failures resulting from the use of the information contained. All posts are using on their own responsibility and risk. About questions, suggestions or information from posts consult an expert doctor.